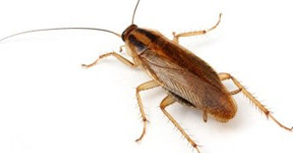 All Aspects of pest control and termite control in all areas of Brisbane North. Whether you’re in Chermside, North Lakes, Redcliffe or Caboolture, we provide carpet cleaning and stain removal, upholstery and rug cleaning in your area. 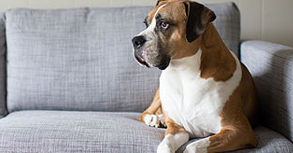 Ask about our discounted combined pest control and carpet cleaning services. Do you service the Redcliffe Peninsula? 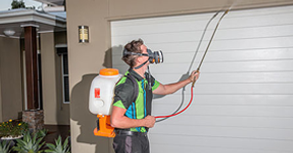 We provide pest control and carpet cleaning services in all suburbs on the Redcliffe Peninsula including Scarborough and Margate and often we are able to provide a same day service. We have pest control and carpet cleaning call outs all over North Brisbane including Sandgate, Brighton, Bracken Ridge, Strathpine Lawnton, Petrie and Bray Park. With several vehicles on the road on Brisbane Northside, we are often able to rapidly respond to our pest control and carpet cleaning call outs. Are you able to provide a combined Pest Control and Carpet Cleaning service in the Caboolture and Bribie Island areas on the same day? We try and service all our customers to meet their needs. We understand the urgency of some jobs and try our hardest to accommodate services on the same day. However this is not always possible and encourage our customers to book in advance. If you require a service on the same day, give us a call and we will try and fit you in if possible. Are termites a particular problem in Bridgeman Downs? The Bridgeman Downs area, with it’s larger properties, does have a reputation for termite issues. It is similar to suburbs such as Burpengary and Morayfield in regard to their significant termite problems. With regular Termite Inspections and Termite Management plans in place, the problem of termites on your property is significantly reduced. Give us a call to discuss your Termite Management Plan today. Carpet Cleaning & Pest Control professionals. Quality service is assured. We are a family owned and run Pest Control and Carpet Cleaning business servicing North Lakes, Narangba, Petrie, Chermside, Carseldine and the entire Brisbane North region to Caboolture and beyond. We use the latest in carpet cleaning equipment and pest control techniques, offering our customers the best quality service at an affordable price. With over ten years experience in these industries, no job is to big or small. We understand your need for quality! Call Ashley on 0439 722 914. Please fill out the form below and we will get in contact with you as soon as possible!